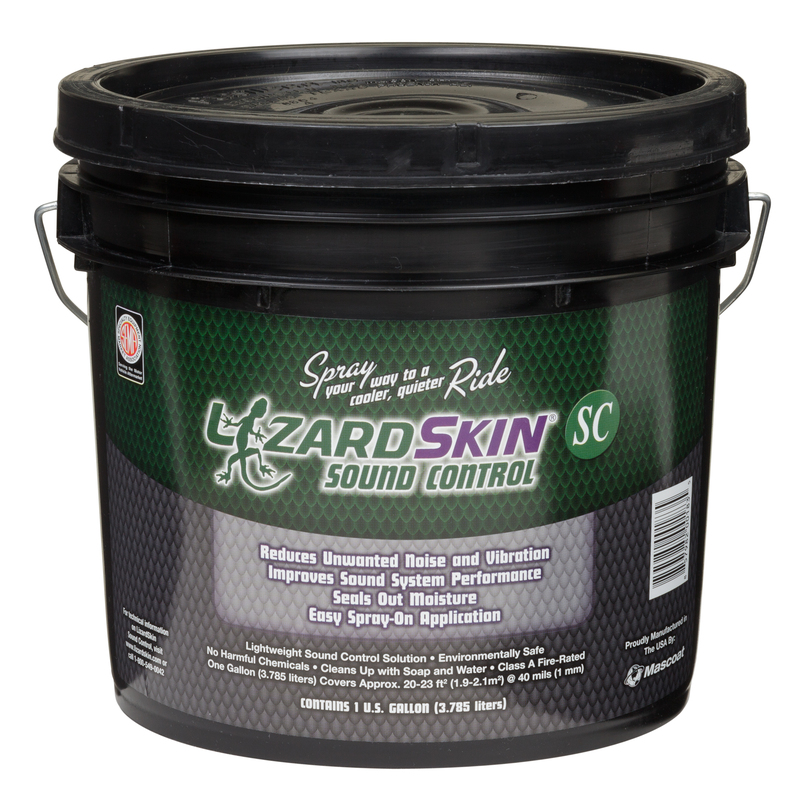 LizardSkin Sound Control is a high-tech coating that stops the vibration of sound waves coming from a surface before they enter the air. 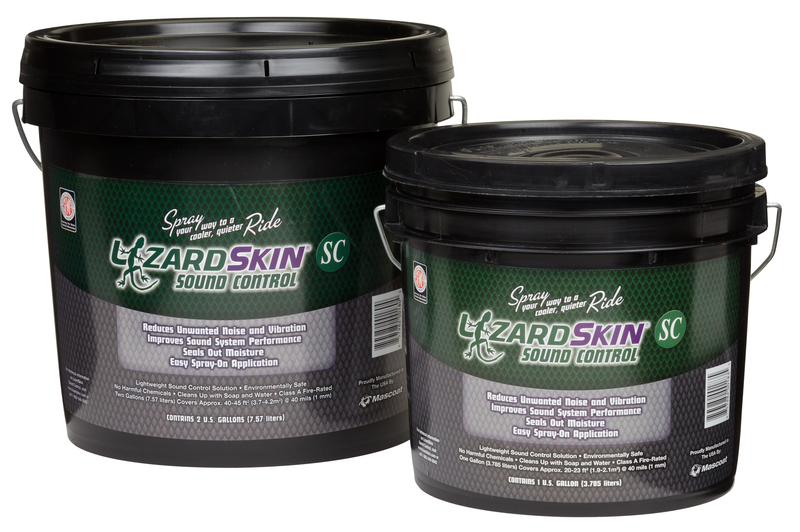 LizardSkin Sound Control can be used with LizardSkin Ceramic Insulation; when used together, LizardSkin Sound Control must be applied first. Typical applications include firewalls, floor pans, transmission tunnels, doors, hoods, trunk lids, under headliners, inside fenders, panel van walls, and other areas that generate vibration and noise. For maximum acoustic performance, coat the entire interior surface and the floor, inside and out. 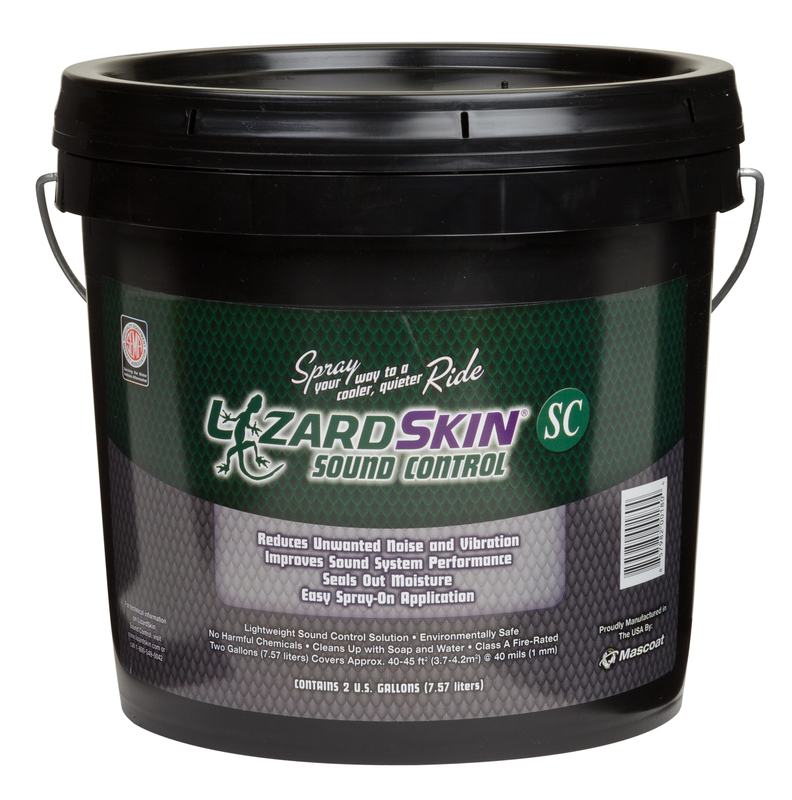 LizardSkin is completely water soluble, meaning it offers an easy cleanup with just soap and water. Each 2 gallon container can cover up to 4.2M2 at 1mm thickness. Maximum recommended thickness is 4mm. A 2 gallon kit is enough to give a 1mm+ protective layer on most 4x4's and medium sized campers. Only Product we will use! we LOVE this product. no joins, we can colour code it, and its fire rated. Lighter, and faster to use on a build, and really finishes off a restoration to a higher degree than matting systems.